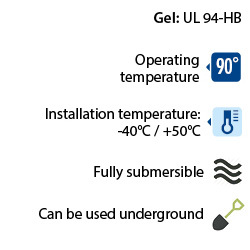 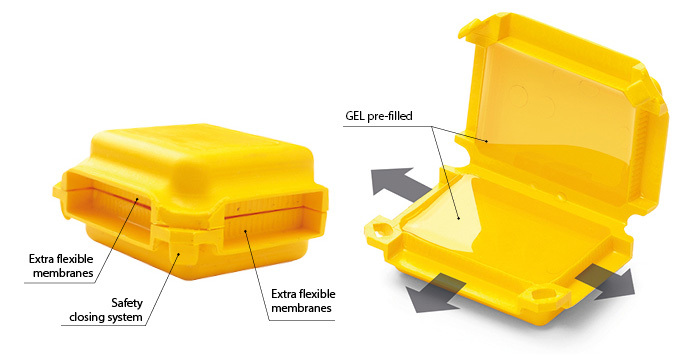 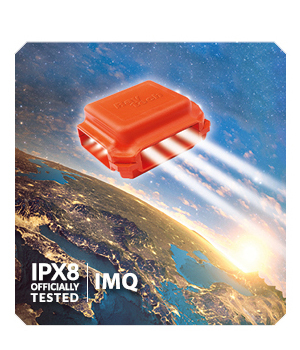 pre-filled with gel and suitable for submersible installations (IPX8). 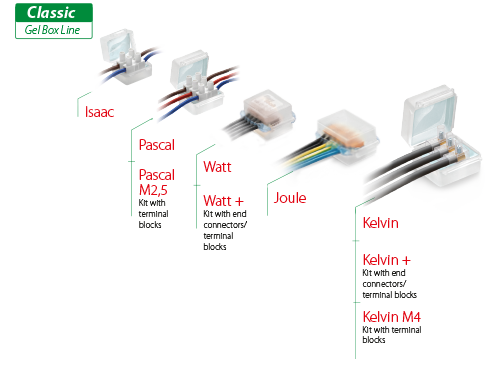 accepting a wide variety of connectors. 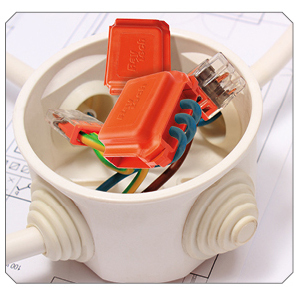 THE STRENGTH OF SIMPLICITY, the largest range of small pre-filled accessories to protect, make reliable and seal electrical connections. 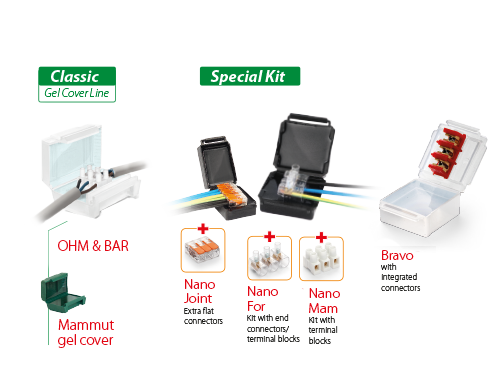 Ready to use and with no shelf life, they offer maximum versatility through the widest variety of dimensions to face any installation with efficiency and comfort. 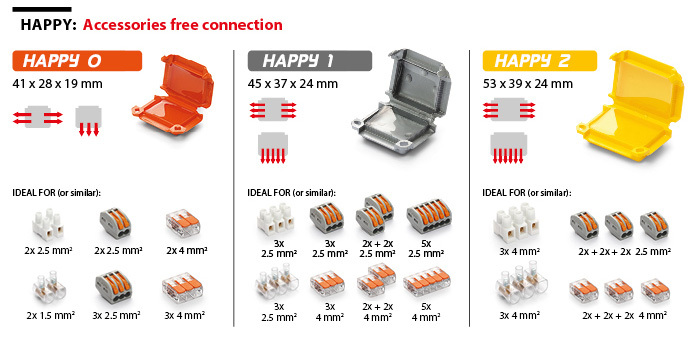 Suitable for several types of connectors, from traditional screwed strip connectors to the latest innovative extra flat models. 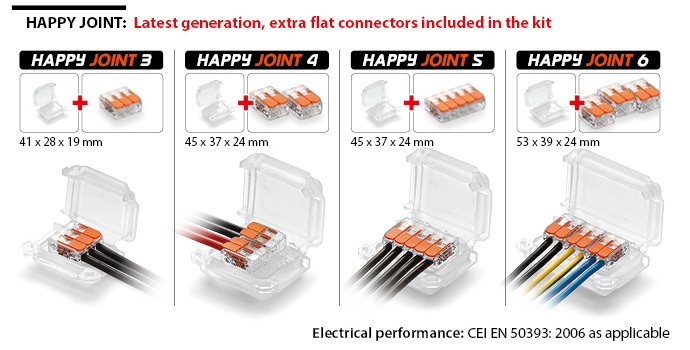 They represent the most versatile, easy to use and reliable system to bring connectors designed for indoors, outdoors.